Kneaded Sourdough German Bakery joined our Mission to help provide access to “Clean Water for All by 2030”. This Mission was initiated by the United Nations. A big thank you to Kneaded Sourdough German Bakery’s team and customers for joining this extremely important mission on 15 September 2017. "Finally a Fantastic Quality Bakery in Dee Why!!! 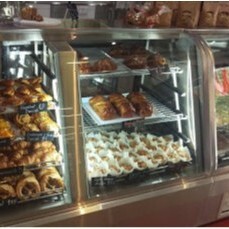 Amazing buttery croissants and delicious pastries as well as awesome hot pies and of course fabulous breads."